There are many moving parts in the German language: grammar, vocabulary, pronunciation, etc. These are all things that native speakers tend to be unaware of. We don’t “calculate” declensions, rummage through our mental dictionaries or twist our tongue into unseemly shapes. We just speak. When it comes to the question on how to become fluent most quickly in German, there are many approaches. Some of my colleagues are great believers in the “get out there and converse fast as possible” approach. Others will put greater emphasis on first acquiring a solid bedrock of grammar, while yet others will prioritize stacking your mental dictionary with as many words as possible. I don’t think any of these approaches are wrong. In the end, what works best is what works for you. But in the last 15 years of teaching students from all over the world from ages 7-65 I’ve found that one of the most effective ways to level up your skills is by reading stories in German. I admit, it doesn’t sound as flashy as the latest app with newfangled AI neural-net doodads, but it just works. Before we get into the kinds of text you can read in German, I’d like to talk a bit about why this approach is so effective. Feel free to skip to the end and jump right into reading your first German stories. Let’s do a little experiment. I’ll teach you a new German word right now. Ready? 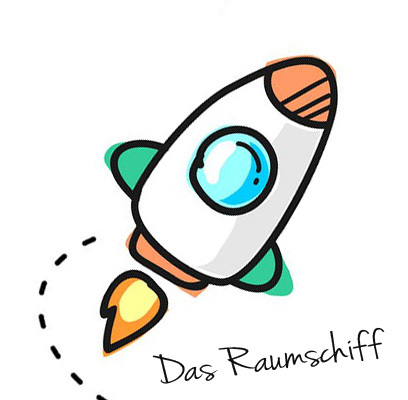 Ok, here we go: “Das Raumschiff” (space ship). Maybe you’ve heard it before. But if it’s new to you, try to memorize it now. I’ll wait. Now, without looking at the word again, how do you say “space ship” in German? “Das Raumschiff”. That’s right. But are you still going to remember it 10 minutes from now, 1 hour, 1 day, 1 month? My point is, even if you learn a thousand new words today, if you don’t reinforce them in regular intervals by using flashcards or other methods, the slow rot of forgetfulness will set in and you’ll have to start all over again. But don’t be discouraged yet! There’s a sweet little workaround. See, in the above example I simply taught you one isolated word with no context whatsoever. When you learn new words by reading German stories, however, each word is part of a sentence, which is part of a paragraph, which is part of a page, etc. In other words, there’s a lot more context. And it’s precisely that context which helps you acquire new German words faster by understanding them in relation to other words, because you can guess more easily what they mean. 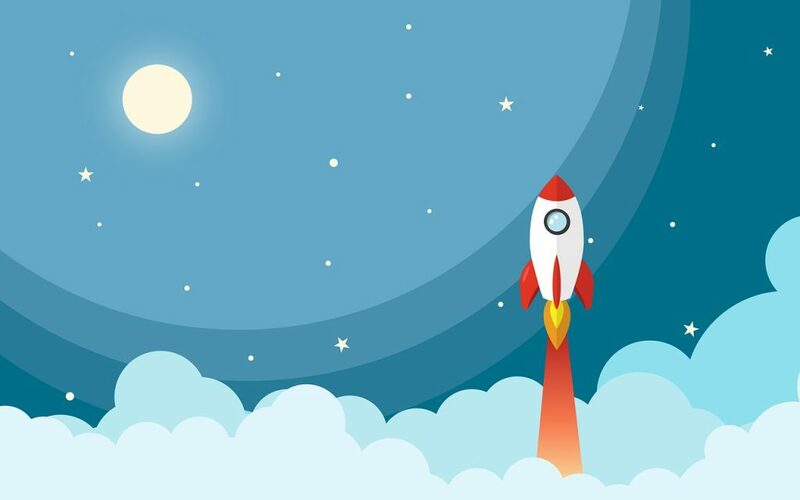 For example, in a sentence like “Das Raumschiff fliegt zum Mars.”, if you know that “fliegt” means flies and Mars is a planet (duh), it’s no miracle to guess that “Raumschiff” means space ship. In consequence, memorizing these new words will also be easier, firstly, because key words will often appear multiple times while reading a German paragraph or a page, reinforcing memorization. Secondly, because you remember them in context. For example, perhaps the word “Raumschiff” reminds you of a character in a story, a certain experience she had, or a specific mood. Perhaps you associate it with the (mental) space you were in when you first read it. In short, your brain doesn’t just deal with one single piece of vocabulary, but with a whole set of connected items. Similarly to acquiring new words faster and retaining them longer, context also helps you to make sense of German grammar. Learning about grammatical phenomena in isolation is a good idea to get a very general overview of how something like case declension operates. But once you actually see it in the wild, as it were, i.e. in context on the page, it gets a lot easier to understand and reproduce. Sure, you could just learn all the declension and conjugation tables by heart. But how much of it are you ever going to use? Declension tables. Who doesn’t love them? 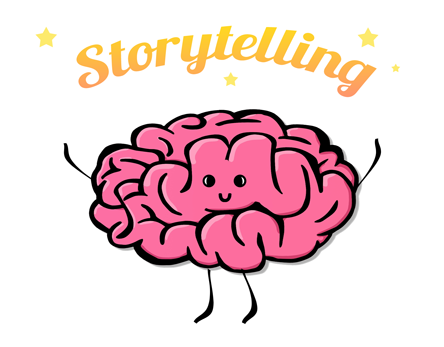 One of my favorite aspects of teaching German by reading stories is the amazing effects good storytelling has on our brain. By reading a good story in German, you’ll naturally want to know what happens next. This can be a good motivator to pull you through what’s after all a taxing task for our brains: reading in a foreign language! Researchers have found that the brain often show higher cortisol and oxytocin levels after reading a story, which are linked to heightened attention and empathy and care. For language learners this increased sense of empathy with characters in the story is another hook we can use, because once we start to care about someone, we’re willing to make more efforts, in this case, continuing to read and learn. Last but not least, reading German texts can be a safe way to practice pronunciation while reading out loud. If possible, get a native speaker to listen to you and provide feedback. You could also record yourself and upload it to a language learning community. Now that I’ve talked at length about why reading in German is so effective, let’s look at the kind of materials you can use. Many of the effects described above can’t be derived from just any kind of text. You’ll need to select them carefully. Also, check out these tips and strategies on how to learn German by reading. Reading German children’s books is the first thing many learners think of, and that’s fine, if these stories can keep your interest and attention long enough. For most adult learners I’d actually recommend using specifically designed stories for learners. If children’s stories aren’t your thing (I personally don’t find them useful as they often fail to engage me) you can start reading the news and other simple German texts. You’ll be able to reap all the benefits of acquisition, reinforcement and retention via context, but keep in mind that you won’t necessarily get the same positive brain effects as with reading stories. Last but not least, here’s my favorite method of learning German. Please note that in order to maximize your benefits, you’ll have to find stories that engage you on a personal level. German Short Stories For Beginners. 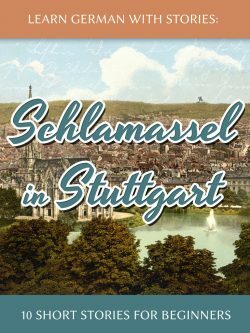 In this article I’ve collected a number of literary short stories from post-war Germany that manage to convey very complex situations in a relatively simple language. Easy German Short Stories. If literary short stories aren’t your cup of tea, I’ve collected a couple of fairy-tales and other stories for you in this post. Learn German With Stories. Since I’ve found many of the existing materials lacking, I’ve written a number of different stories for German learners across different Genres (travel, fantasy, mystery) and difficulty levels (beginners, intermediates, advanced) myself.